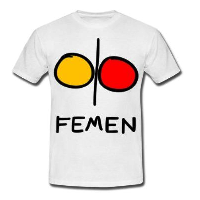 This entry was posted in CH and tagged 新聞 on December 26, 2014 by FEMEN. This entry was posted in CH and tagged 新聞 on June 12, 2012 by FEMEN. This entry was posted in CH and tagged 新聞 on May 31, 2012 by FEMEN. This entry was posted in CH and tagged 新聞 on May 22, 2012 by FEMEN. This entry was posted in CH and tagged 新聞 on April 11, 2012 by FEMEN. This entry was posted in CH and tagged 新聞 on March 19, 2012 by FEMEN.